This clearly written introduction to the world of real estate finance in California lays the ground work for understanding how real estate loans get made. It brings you up-to-date coverage of the latest tax law changes, Cal-Vet, FHA and VA guidelines. 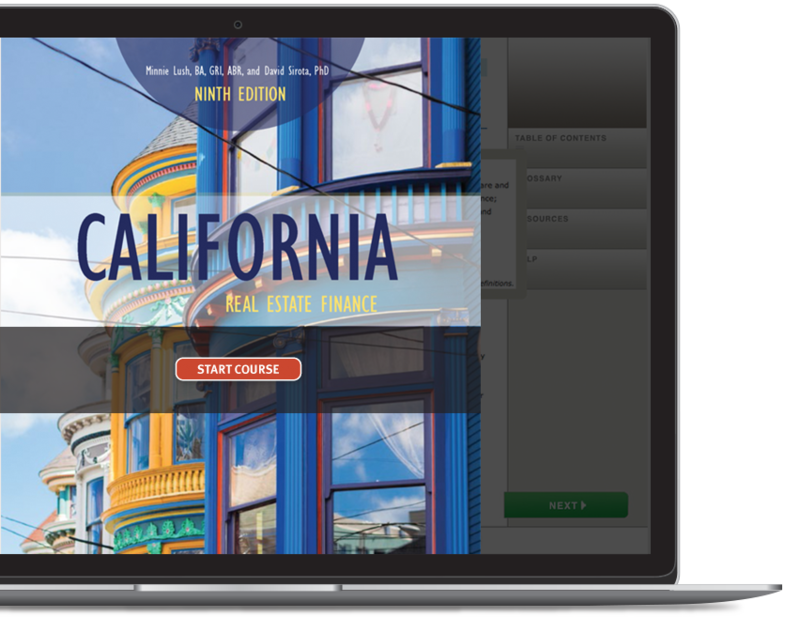 Electronic loan processing and other elements of the evolving California mortgage industry are discussed throughout the text. CONTENTS: Nature and Cycle of California Real Estate Finance - Money and the Monetary System - Fiduciary Sources for Real Estate Finance - Semi-fiduciary and Non-fiduciary sources for Real Estate Finance - Conventional, Insured and Guaranteed Loans - Federal and State Financial Regulations and Lending Programs - Junior Real Estate Finance - Contemporary Real Estate Finance - Instruments of Real Estate Finance - Real Estate Loan Underwriting - Processing Real Estate Loans - The Secondary Mortgage and Trust Deed Markets - Defaults and Foreclosures - Investment Financing Strategies - Mathematics of Real Estate Finance - Glossary - Index.